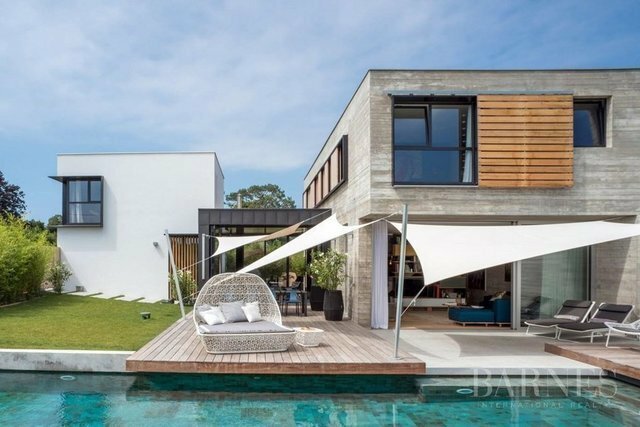 Biarritz, a beautiful 240 sqm contemporary home built in 2015 with high quality materials (waxed concrete, oak parquet, large bay windows, home automation, sound system...). Set on a 800 sqm plot, this modern house is very bright and offers spacious dining and living rooms. The south-oriented garden has a heated pool and terraces. A large garage. Within walking distance to shops.